Nothing conveys the democratic process quite like Katy Perry in a skintight rubber mini! 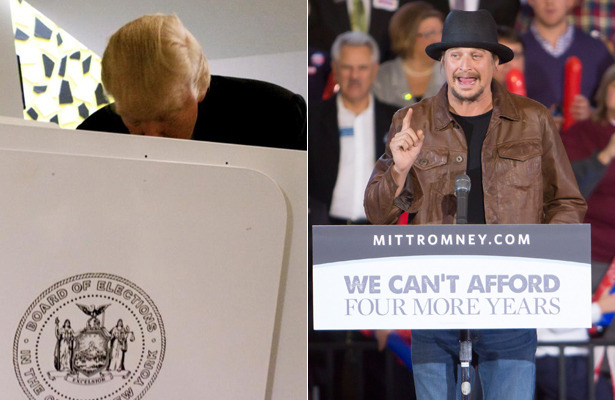 Howard Stern also announced he was voting for Obama, while Donald Trump and Kid Rock vocally support Romney. ​Exercise your right to vote! Find your polling place below.